There is a scene towards the climax of the 1998 science-fiction disaster movie Armageddon, where astronaut Harry Stamper (played by Bruce Willis) rips off his Nasa badge from his space suit and gives it to AJ (played by Ben Affleck) to hand over to their flight director Dan Truman (Billy Bob Thornton) back on earth. Earlier in the movie, Truman explains to Stamper how he could never become an astronaut because of physical ailments and always dreamt of donning a space mission patch. Designing and wearing space insignias is a sacrosanct tradition. Crew members play an active role in the designing process, taking calls on the colour, shape and emblems that will be part of the insignia. They work with a designer to create these patches, which not only represent the crew but also depict important aspects of the mission. According to a Washington Post report in July, one of the first tasks of a new astronaut crew is designing the mission patch. Astronauts have been wearing these since 1965, when US space agency Nasa introduced crew insignia for the manned space flight mission, Gemini V.
Every patch has a theme or a story to tell but a common theme is the spirit of international cooperation. Here’s a look at some of the most striking insignias from missions to the International Space Station (ISS) and others. American astronauts Neil Armstrong and Buzz Aldrin were part of this historic mission which saw the first two people landing on the moon. The Apollo 11 patch—designed by third crew member Michael Collins—features an American bald eagle with an olive branch in its claws to depict a peaceful lunar landing. Collins used a picture of the eagle he had found in a National Geographic book about birds, Water, Prey, And Game Birds Of North America, and traced it using a piece of tissue paper. The earth can also be seen in the distant space. Indian Air Force pilot and astronaut Rakesh Sharma flew aboard the Soyuz T-11 as part of the Interkosmos space programme in 1984. In doing so, he became the first and only Indian so far to be in space. 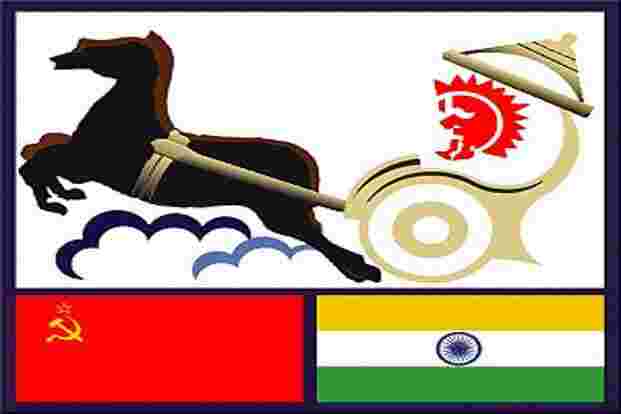 This mission insignia features the Indian national flag and colours of the Soviet Union, with the sun god Surya sitting in a chariot drawn by horses. Sharma spent seven days in space and -- along with the other cosmonauts -- was part of the scientific and technical experiments that were conducted aboard the Salyut 7 space station. With Expedition One, which launched from Kazakhstan’s Baikonur Cosmodrome on 31 October 2000, the new International Space Station came to life. 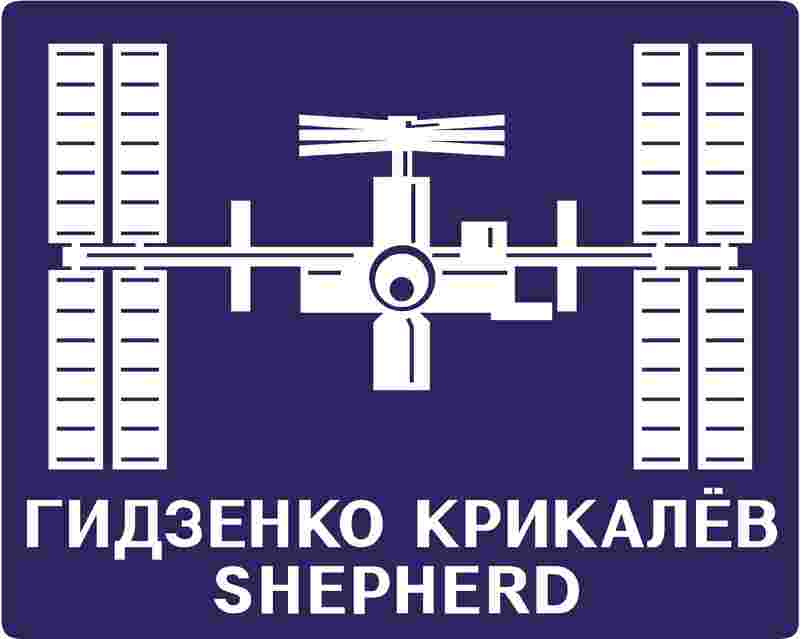 Expedition commander William Shepherd, Soyuz commander Yuri Gidzenko and flight engineer Sergei Krikalev from Russia were part of this four-month mission to prepare the station for future research. 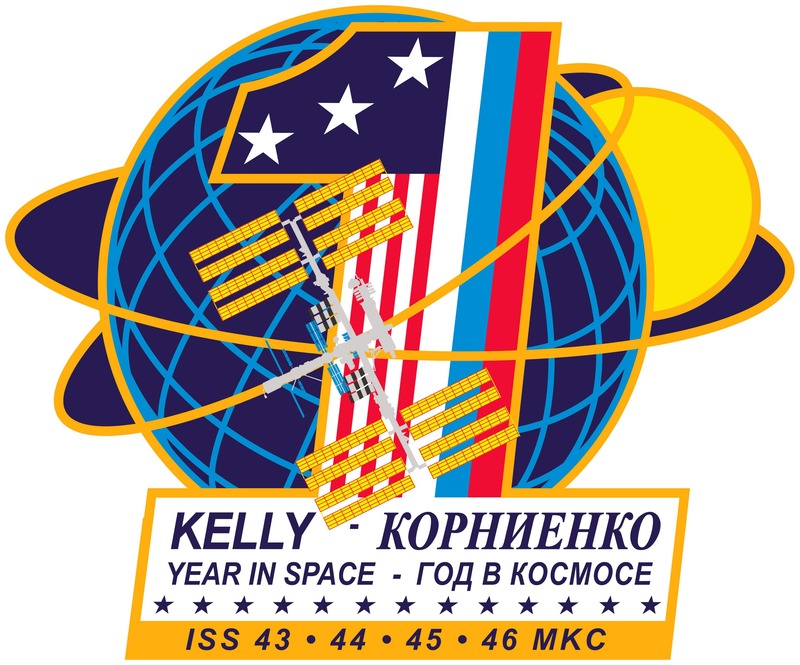 The first ISS crew patch featured a simple, white graphic of the station complex—when complete—on a blue background. The station is seen with solar arrays turned forward. 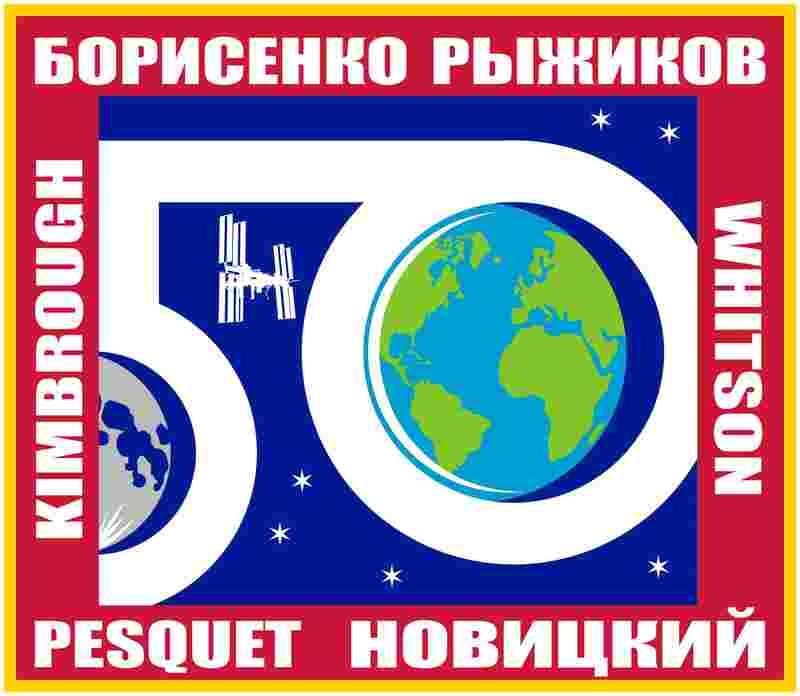 The last names of the Expedition One crew appear under the station symbol. The insignia for the ongoing expedition features an explorer’s ship. 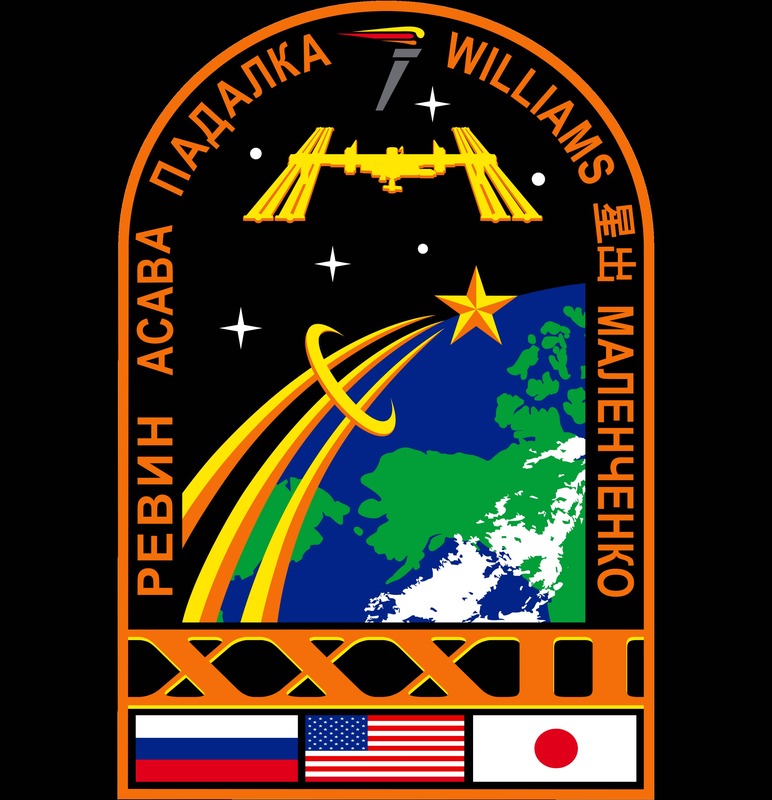 According to its official description, the patch represents the purpose of the ISS as a world-class science laboratory for the betterment of mankind. The ship is a testament to the human nature of setting sail into the unknown. The current crew on the ISS was scheduled to be joined by two more members, but the launch of their Soyuz spacecraft was aborted mid-flight due to a booster failure. 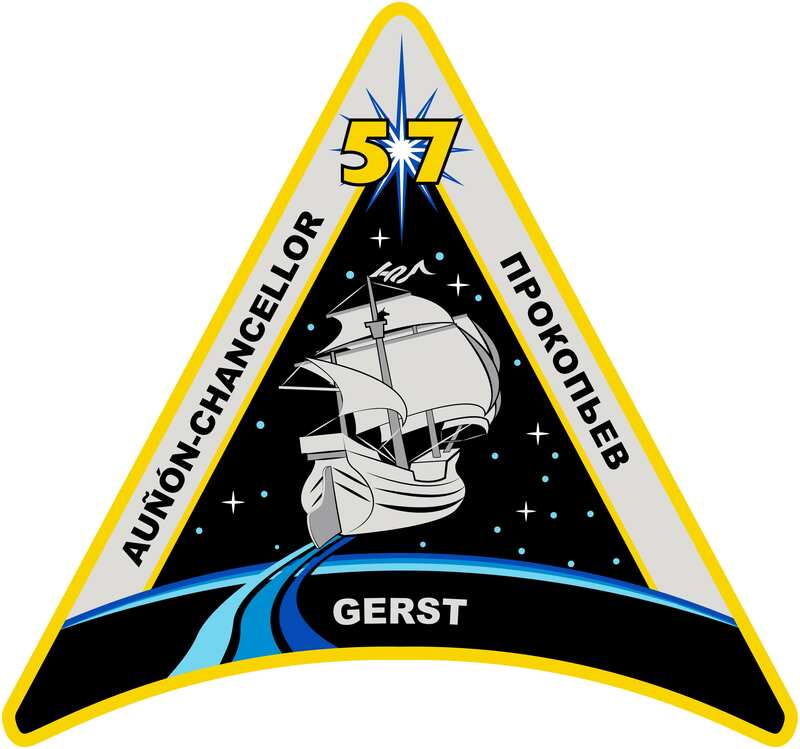 This mission insignia, as per its official description, reflects the spirit of teamwork between the space flight controllers and the mission crew. The ISS, which features on the top in white, is a point of union for the American and Russian flags. 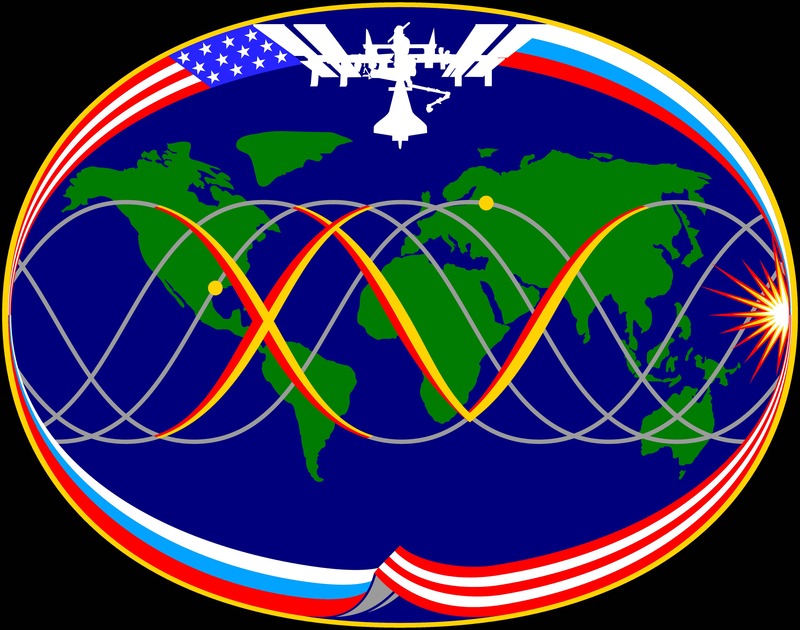 Two golden dots denote the control centres located in Russia and the US. The number 15 is recreated in Roman numbers and embellished on a Mercator projection of earth. American astronaut Sunita Williams, of Indo-Slovenian origin, was also a part of this expedition. Expedition 56 ended earlier this month. As part of their work, the researchers conducted studies focused on physics, navigation and microbiology. This patch features a dove carrying an olive branch in its beak, while its tail is planted on earth. This signifies the strong connection between our planet and the astronauts who travel into the cosmos. Expedition 32 took place in 2012 and was significant in expanding the scope of research aboard the station. New research facilities were tested during the mission. A total of 240 scientific experiments were conducted, including the testing of a new micro-satellite deployment system. The insignia’s arch shape represents a doorway to future space exploration, while the flame on top signifies the importance of education. The three flags and names of the crew appear on the borders of the patch. The 50th expedition began in October 2016 and went on till April 2017. Some of the investigations the astronauts conducted included the effect of lighting on the overall health of the crew and how microgravity alters the genetic properties of space-grown plants. According to its official description, the red border in the insignia symbolizes future human exploration of Mars, while the background colours (red, white and blue) represent the national colours of the six crew members—the US, Russia and France. The year-long mission was one of the most significant missions to the ISS, where American astronaut Scott Kelly and Russian Mikhail Kornienko spent a year aboard the space station. Kornienko and Kelly conducted investigations and experiments to study the effects of long-duration space flight on the human body. The mission lasted through expeditions 43 to 46 and focused on seven different categories of research—from psychological effects and ocular health to the crew’s physical performance in a low-gravity environment. The Vitruvian Man, one of the most iconic works by Italian artist Leonardo da Vinci, features in this mission patch. It is depicted along with the orbit paths of the satellites that revolve around earth. 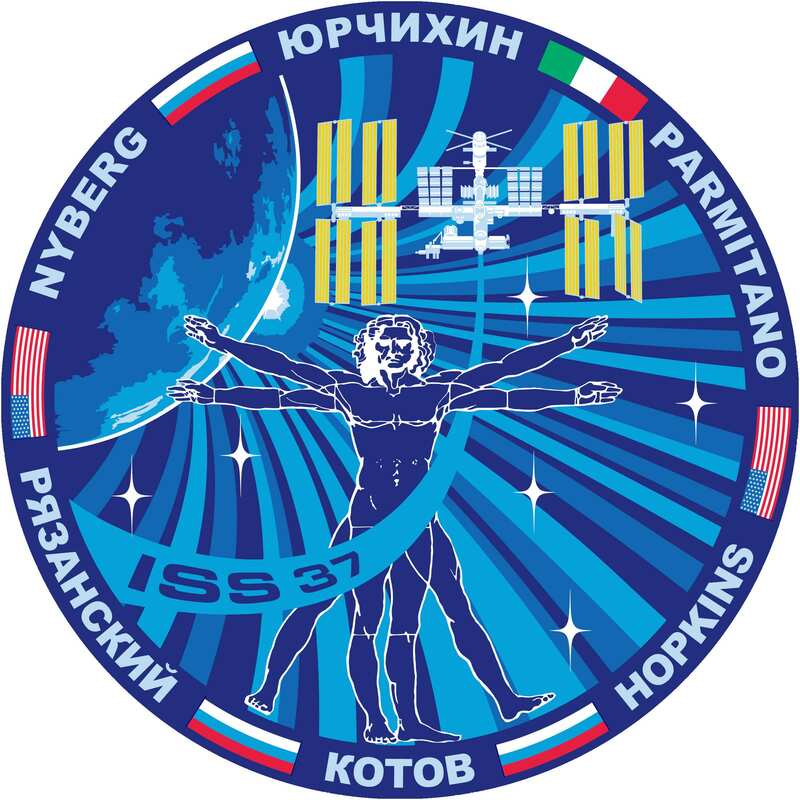 The insignia also showcases the ISS as a symbol of symmetry between the universe and the human body, much like The Vitruvian Man. 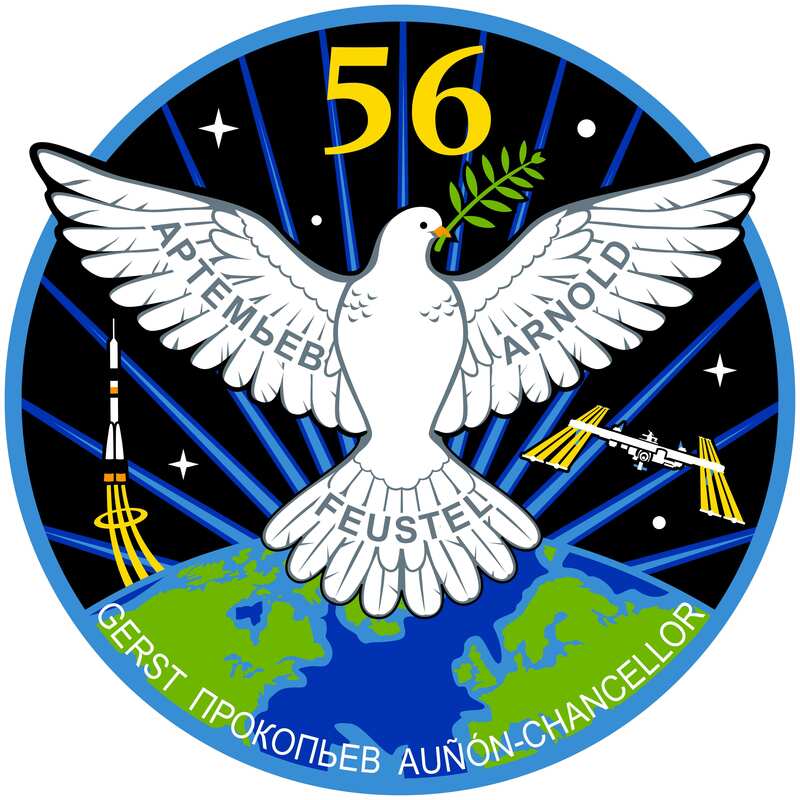 The six stars spread across the insignia denote the six crew members of the mission, including Italian engineer and astronaut Luca Parmitano. The names of the crew members appear near the border, accompanied by their respective national flags.